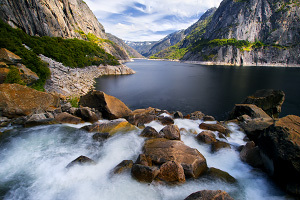 Located in the lesser-visited northwest corner of Yosemite National Park, Hetch Hetchy is a beautiful valley surrounded by tall granite walls that was dammed in the early 1900s to serve as a stable water source for the San Francisco Bay Area. 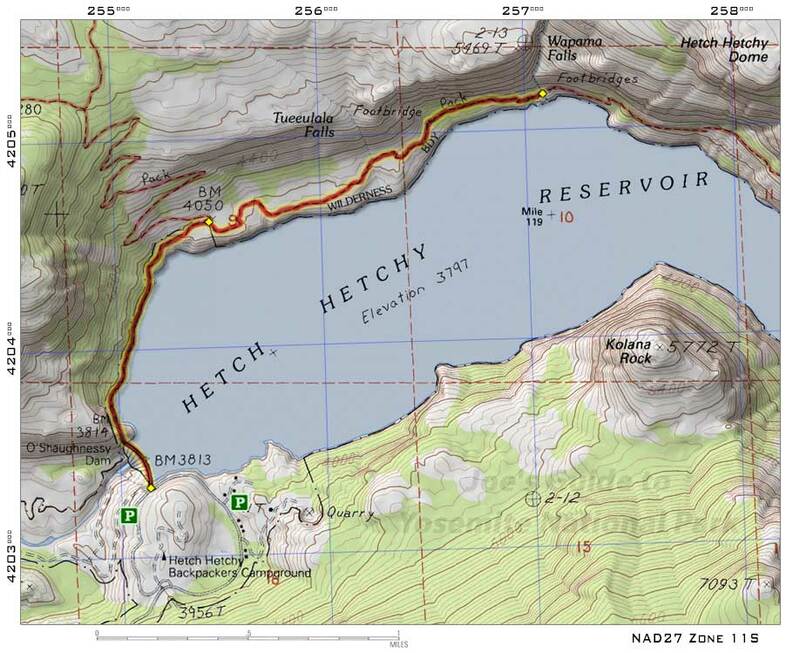 Despite the controversy behind O'Shaughnessy Dam, hikers can still drive in and park fairly close to the dam and hike around the northern side of the reservoir to enjoy the sites of what is now a mostly underwater Grand Canyon of the Tuolumne River. Hiking to the base of Wapama Falls makes for a pleasant and moderately strenuous day hike. At the end of Hetch Hetchy Road is a one-way loop with two parking areas and some roadside parking spots. In the summer, finding parking can get difficult, so arrive early or be prepared to walk the road quite a bit. Once you find your way to O'Shaughnessy Dam, navigation for this hike is very easy. Cross over the top of the dam, hike through the tunnel, and follow the trail around the north side of the reservoir. While the trail doesn't have much elevation gain, there are several ups and downs. 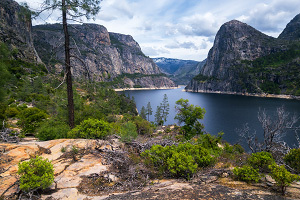 This hike is a good excuse to visit Hetch Hetchy Valley, especially in the off-season or spring when the waterfalls are at their best. Summer can get a little hot and crowded for this one.